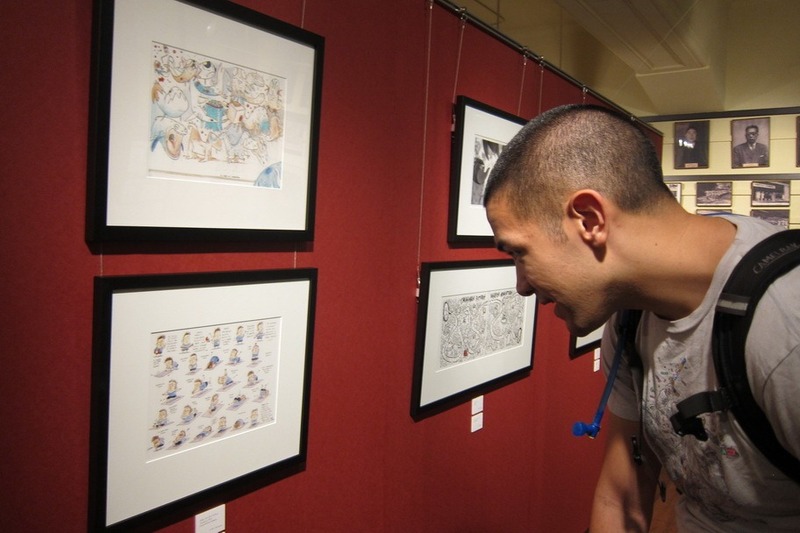 My good friend, Devon, recommended a temporary exhibit at the Kyoto International Manga Museum to me. I’m not really into manga (Japanese comics). 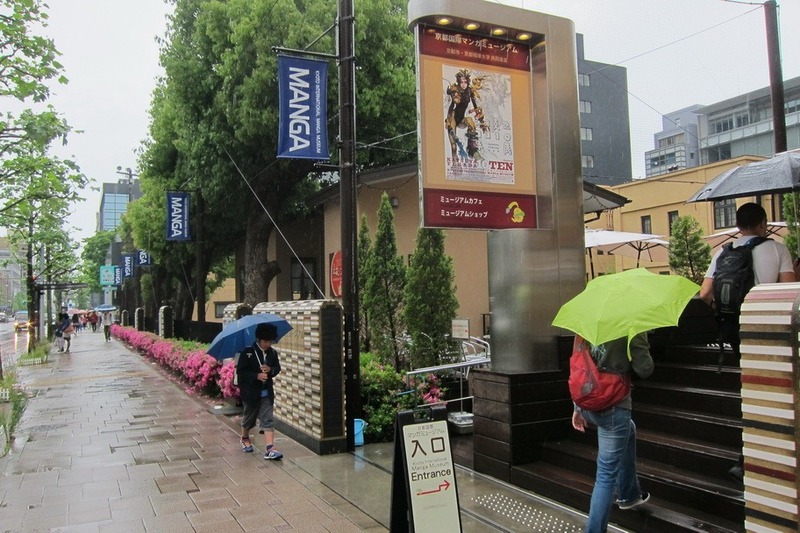 However, due to a confluence of circumstances (proximity of the museum to an udon restaurant, the fact that Mr. Selfish’s sister was visiting, and the constant rain that day), we actually went to the manga museum. Surprisingly, I actually enjoyed the museum. 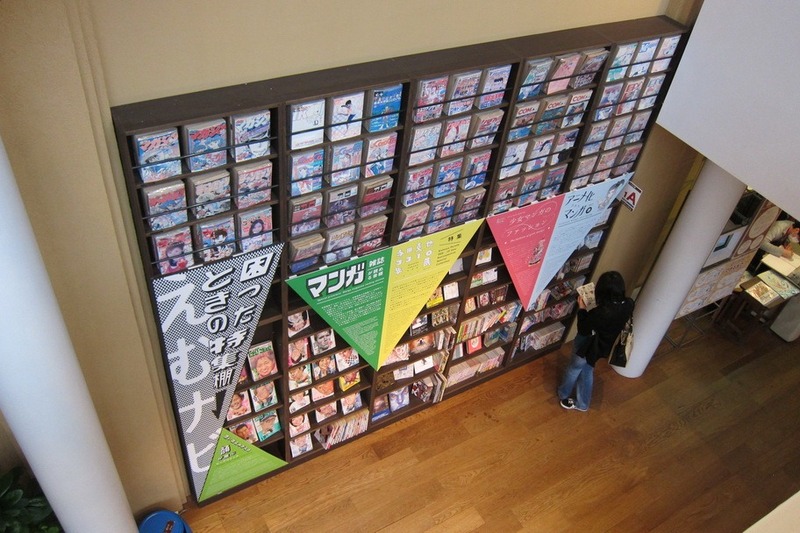 The museum has three stories and is primarily a huge manga library. 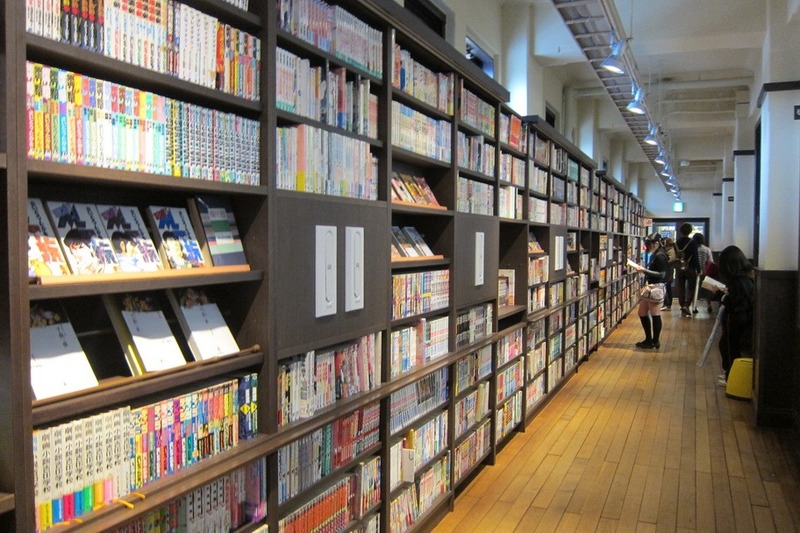 There were tons of locals, including families and couples, reading manga. 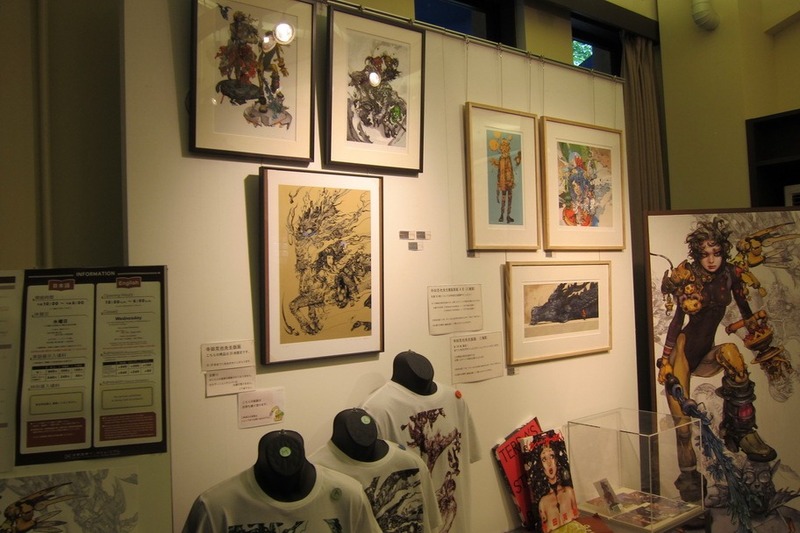 The library section also contains an exhibit on the history of manga, which was quite well-done. Unfortunately, no photos were allowed inside. I did sneak a couple though. 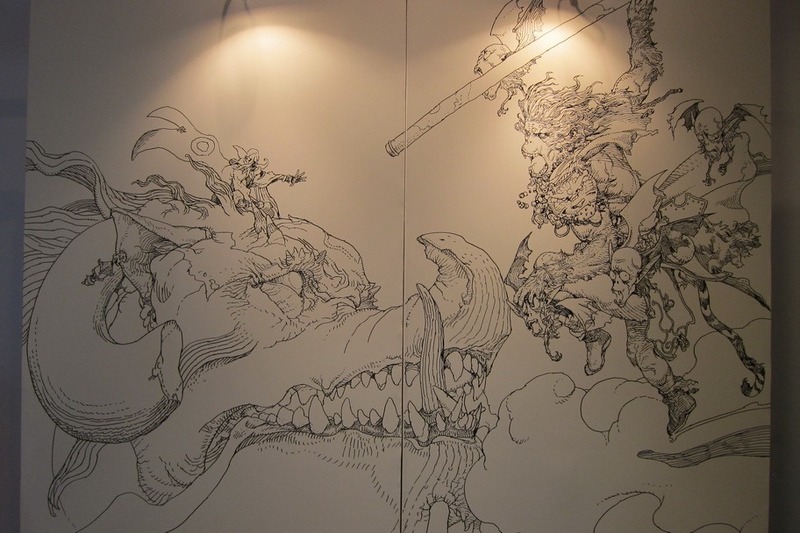 My friend wanted me to see a temporary exhibit by Katsuya Terada, who is an illustrator. 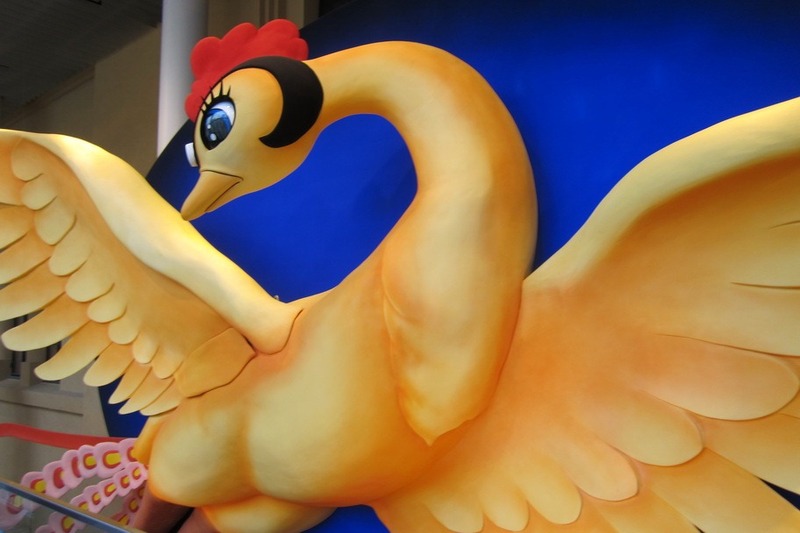 The exhibit had huge billboards, some of which you could even photograph. 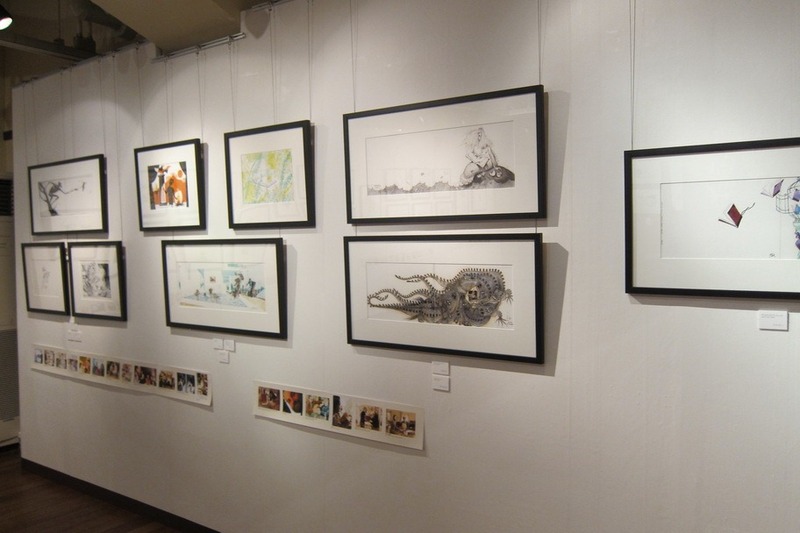 My favorite temporary exhibit was on a project known as Sketchtravel. In this project, a sketchbook traveled all over the world to 71 different artists, who all sketched on one page and then passed it by hand to another artist who would do the same. All of the pages of the sketchbook were subsequently auctioned off for charity. It was interesting to see the very different sketches of all of the artists. 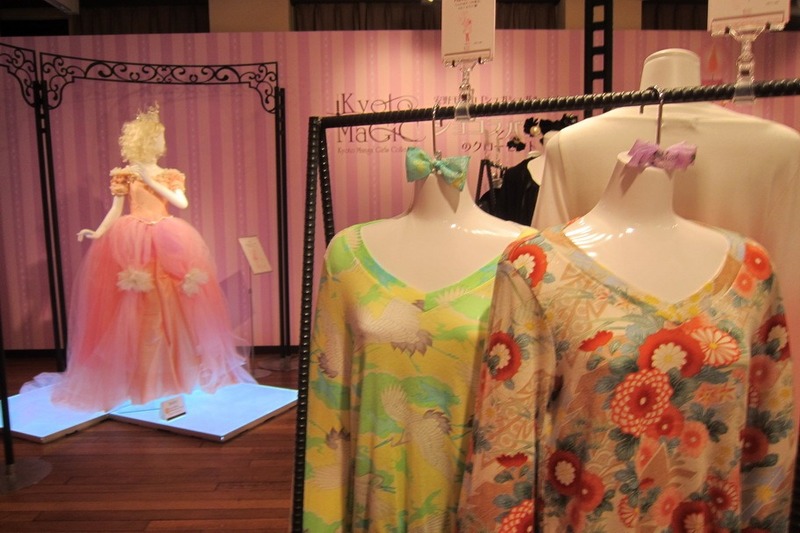 The last temporary exhibit concerned clothing inspired by a girl series called Sugar Sugar Rune. It wasn’t really my cup of tea. 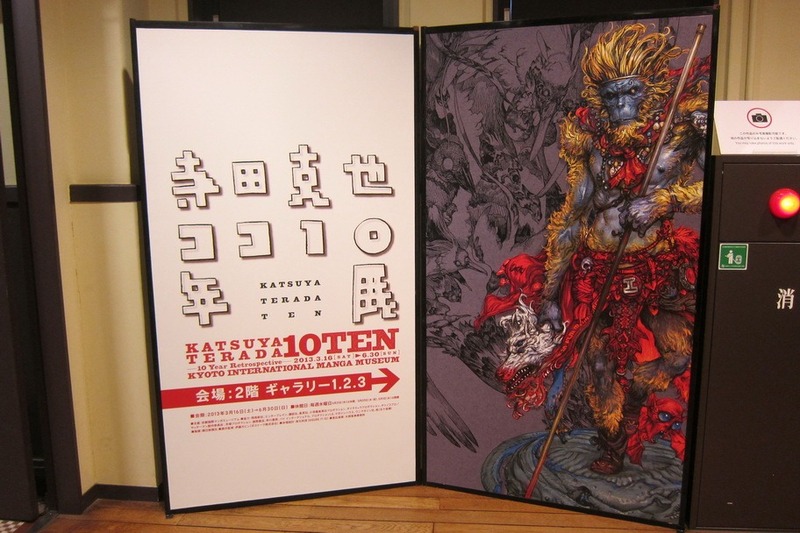 In any case, I thought that the Kyoto International Manga Museum was worthwhile at 800 yen per person for admission. 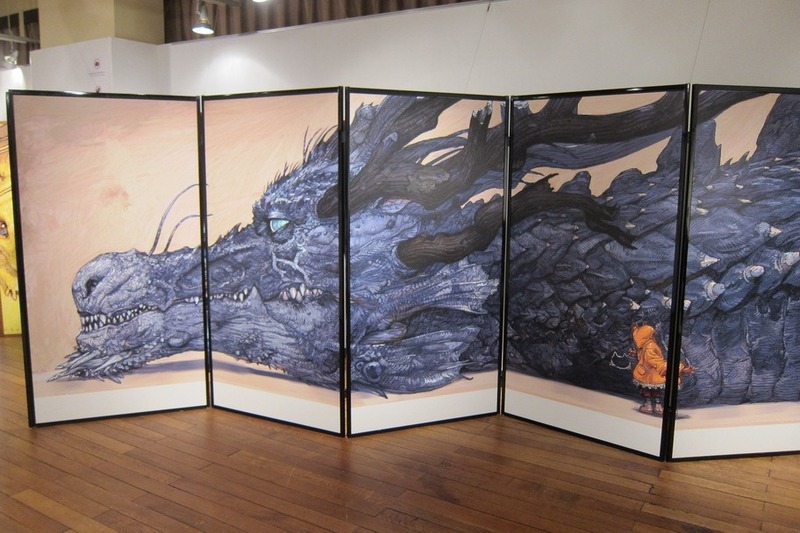 Just be sure to check the temporary exhibits on display since the vast majority of the manga library is in Japanese.